Hello again! 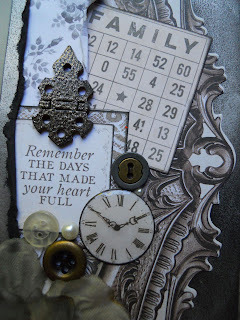 Drea here, and I was so excited to receive my first "fully loaded" kit as part of the new FotoBella Design Team, featuring the KaiserCraft Pen & Ink Bundle! 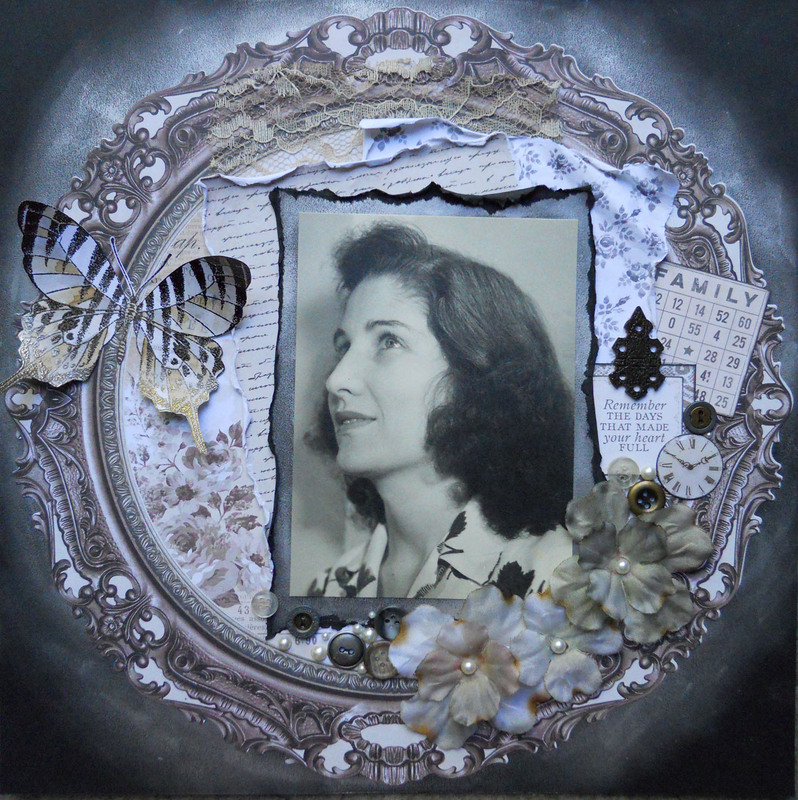 I even managed to use the additional 6.5" Paper Pad, Mini Ink Pad (Black), Kaisermist Spray (Coffee), Pearls (Pearl), and Scor-Tape 1/8" on this page that I scrapped of my husband's late grandmother. 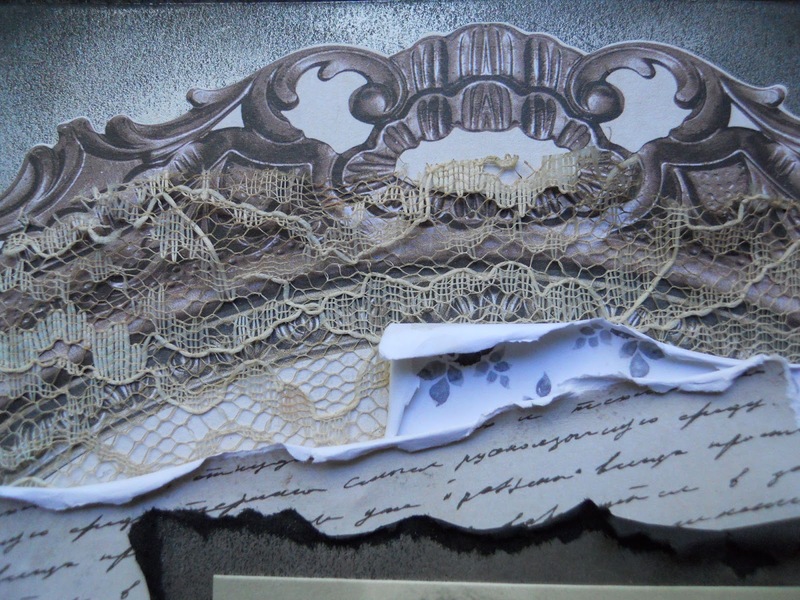 I was immediately drawn to the beautiful 12 X 12 die cut sheet from the Pen & Ink Bundle, reminding me of an old mirror. So I adhered it onto black cardstock rubbed with Prima Marketing Metallique Waxes ( Old Silver and Brushed Iron), also used behind the photo. Then I layered it with a piece of lace, dyed with the Kaisermist Coffee Spray, and papers from the bundle and the 6.5" Paper Pad. 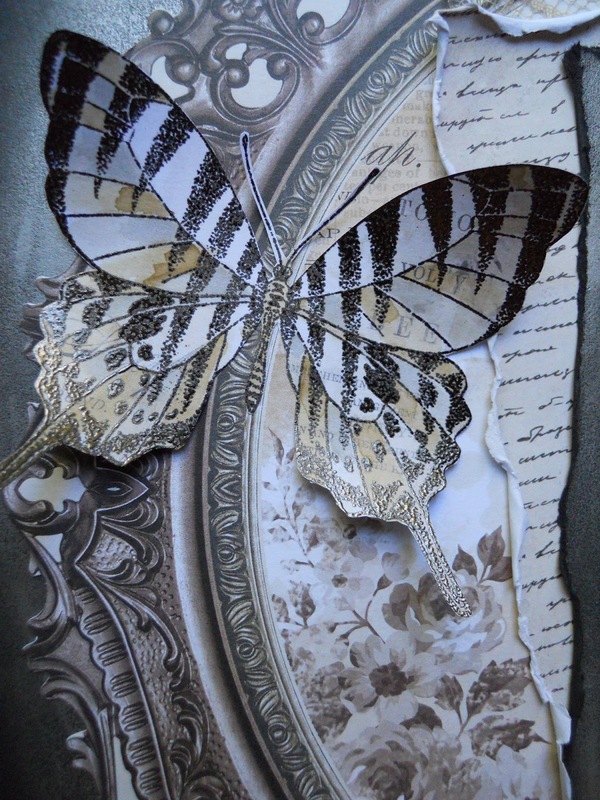 I just LOVE the butterfly stamp, and embossed it onto one of the papers from the collection with Lindy's Gang (Twilight Bronze Slate) Embossing Powder! Then I colored it with Distress Ink Pads (Frayed Burlap, Pumice Stone, and Hickory Smoke), using one of my Prima Marketing Watercolor Brush/Pen's. After fussy-cutting, I adhered it with the Scor-Tape 1/8", so it won't flutter away. 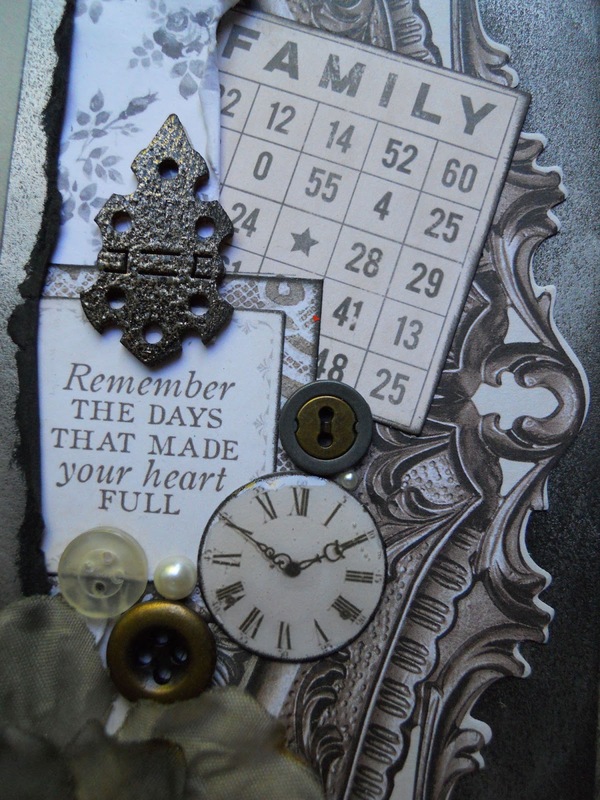 The KaiserCraft Mini Ink Pad (Black) was used on the edges of the die cuts, including the clock that I applied Ranger Glossy Accents to, and to coat the wooden hinge, followed with a coat of Lindy's Gang (Twilight Bronze Slate) Embossing Powder, to match the butterfly. 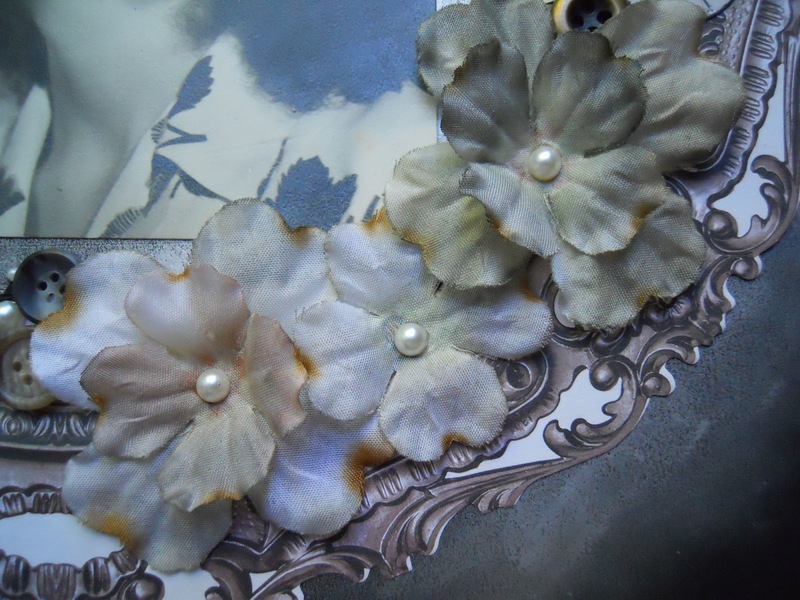 By looking at them, you'd never know the white flowers from my stash, were colored with one spray, but the Kaisermist (Coffee) Spray aged them perfectly with some brown and grey shimmery tones. 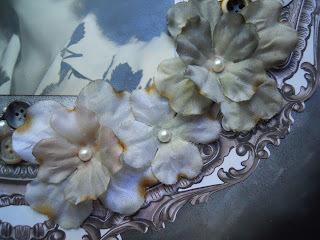 Then I added some KaiserCraft Pearls (Pearl) to the centers. 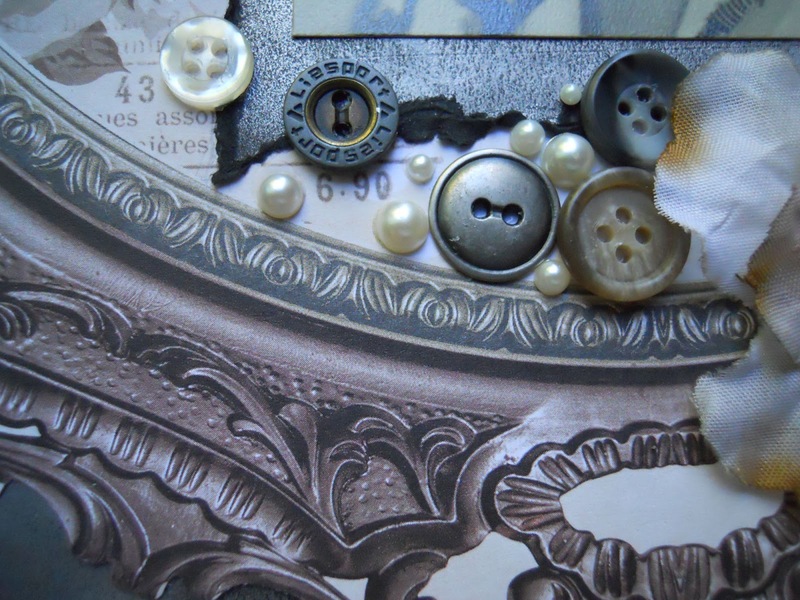 I also used the KaiserCraft Pearls scattered among the buttons, that I inherited from the pretty lady in the photo. Thanks for your visit, and get your KaiserCraft Pen & Ink Scrapbooking Bundle and additional supplies at FotoBella.com! Drea, this is just absolutely gorgeous!